Innovation is more than generating the next big idea—it involves how you implement the ideas that make it out of the gate, and how you build the culture to sustain the creation of those ideas. Thus, innovation’s ability to modify strategy is critical. With that said, the implementation of innovation must exist separately and distinctly from your overall corporate strategy. 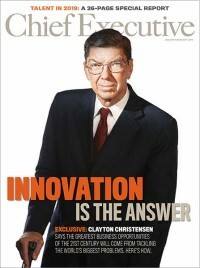 There are generally moments within the history of an organization when the need for innovation becomes crystal clear. It may be a long draught of revenue growth, a succession of lost bids, or a competitor’s new product. Whatever the tipping-point, the first step toward creating a sustained culture of innovation is to lay the groundwork toward building the organizational capability for innovation. The climate for innovation can only thrive when every aspect of the organization promotes creativity, engagement and acceptance of the change required. Implementing innovation has 3 big parts. 1. “Big” Ideas. Start by creating your innovation mantra. The best mantras inform a company’s everyday decisions and are actionable statements of intent, such as: “Create one new Innovation a year”; “Be relentless”; or “Inspire Innovation”. Build your culture of innovation step-by-step, stone by stone. Build consensus, reinforce ideas, and underscore the need for accountability. Don’t rush it, and follow the rules of innovation. Another barrier to making your innovative culture stick is innovation assassations. The residual effects of the Great Recession still reverberate down the hallway of today’s public and private sector organizations. When your team feels insecure, whether that insecurity is justified or not, they are more prone to innovation assassination. Resistance can take many forms, from open dissent to covert subterfuge; but in any form, it is threat to innovation implementation. The first step to countering innovation assassination is by acknowledging its existence. Second is to understand why. Lastly, it can be hard to mitigate these would-be assassins, but the best approach is by reinforcing a culture that accepts, and even encourages, disruption and risk. One of Pixar’s mantras has been to “be wrong as fast as we can”. I like to say, “fail fast and fail cheap”. Google’s phrase is “fail well.” Risk often translates into failure, so make sure failure is seen and experienced as a “Learning Experience”. 2. People. The reason innovation implementation can seem a daunting process is largely due to people-related issues. They require patience (and intestinal fortitude) as well as structure to combat. A key element to implementing innovation is finding and keeping the right people. In the past, an organization’s culture would shape the individual employees. However, today it is the value system of the individuals that, collectively, define the organization’s style and mores. The workplace of today is complex. Generations of workers are not always defined by age. Also, technology is changing the way we do things, and it is changing us. It is changing the very DNA of the work environment we have come to know and understand from years of experience. Organizations will have to be nimble in the treatment and care of workers to create a culture of innovation. Organizational structure should be reviewed and modified as appropriate. Think about co-working spaces, new desk layouts and floor plans. In the end, it is imperative to make sure everybody in the organization is engaged and expected to contribute to innovation. “Real opportunity exists for organizations to step up and create the conditions and commitment needed to encourage innovation in their work environments…if we get this right, we can better retain talent, remain more competitive into the future, and more positively impact society,” Deloitte Global CEO Barry Salzberg said in a company statement. Key Ingredients to the process include: Generating Ideas, Screening, Testing, Analysis, Beta Tests, Product Development Technicalities, Commercialization, and Post Launch Review. To get results in innovation, a structured, repeatable process is essential from start to finish.